Today we traveled to Florence from our hotel, which took about 45 minutes. Words cannot describe the beauty of Florence; we all fell in love with the city. The roads are all big stone bricks, and the buildings are so old, but scattered around these old streets are various stores/shops! 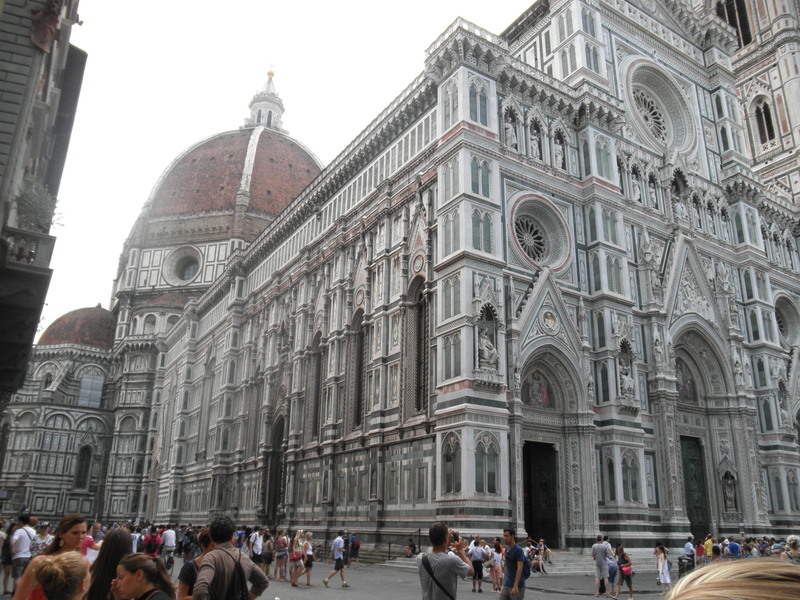 We saw the Florence cathedral, which is the fourth largest in the world. On the side of the cathedral, there was the bell tower, which is separate from the cathedral. You could climb the steps to both the top of the bell tower and the cathedral, but we did not have enough time to do all that! Both the cathedral and bell tower had so much detailed designs unlike any cathedral I have seen. Right next to the cathedral, there was a building used only for Baptisms. 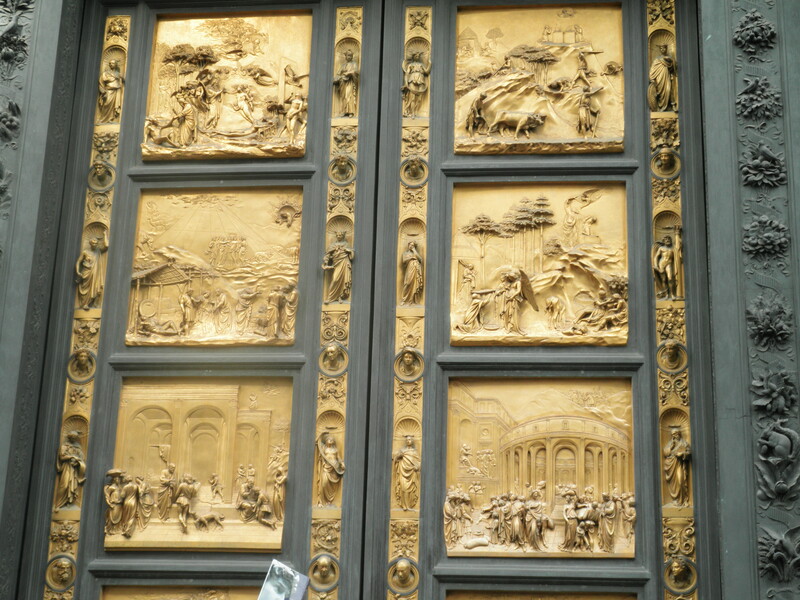 The door on this building had 10 gold blocks, each with a different picture to represent a story from the Bible. There was a flood in Florence that had water up to 6 feet! During the flood, 6 of the blocks were found in the ground, so those blocks were placed in a museum and they created replicas to replace the blocks on the door. 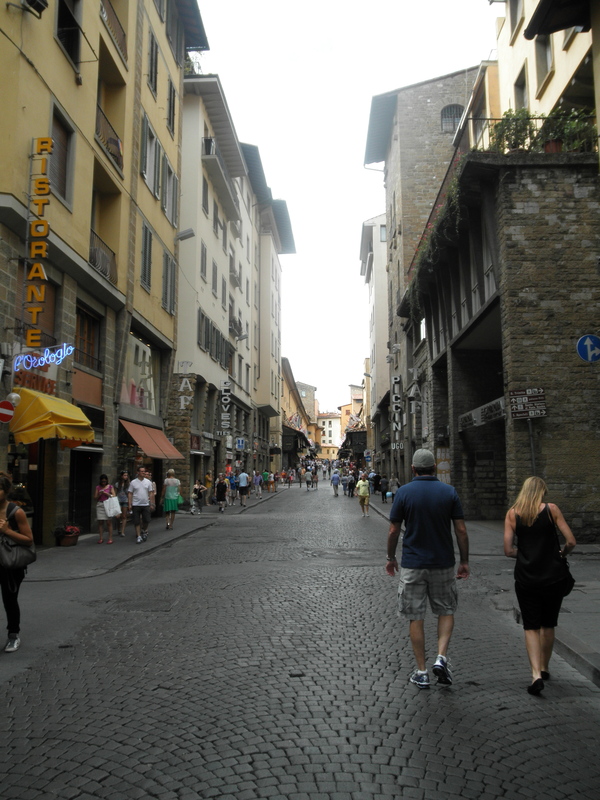 Overall this part of Florence was amazing. The door to heaven with 10 gold blocks. There were also many statues throughout the city. 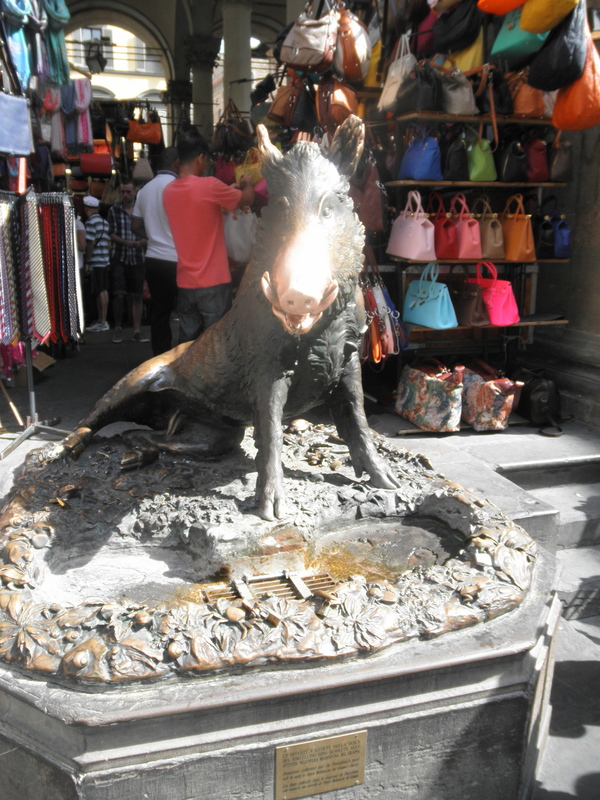 My personal favorite was the statue of the wild boar, which they call “piglet.” If you touch the top of the mouth, it is said to bring you back to Florence. Inside the mouth, water flows out and if you place a coin there and it falls down into the hole, your wish will come true. We all took our turn, hoping we all will return to Florence one day! From there we went to see the “Ponte Vecchio,” which translate to “Old Bridge.” Here there were was an amazing view of the river and houses that line along it. Our tour guide told us that there was a royal family, the Medici family, whom were political dynasty and family that helped bring Florence together. Haley tricked me into thinking she was a descendant haha. Unfortunately the real last descendant of this family was unable to have children so the family has died off. 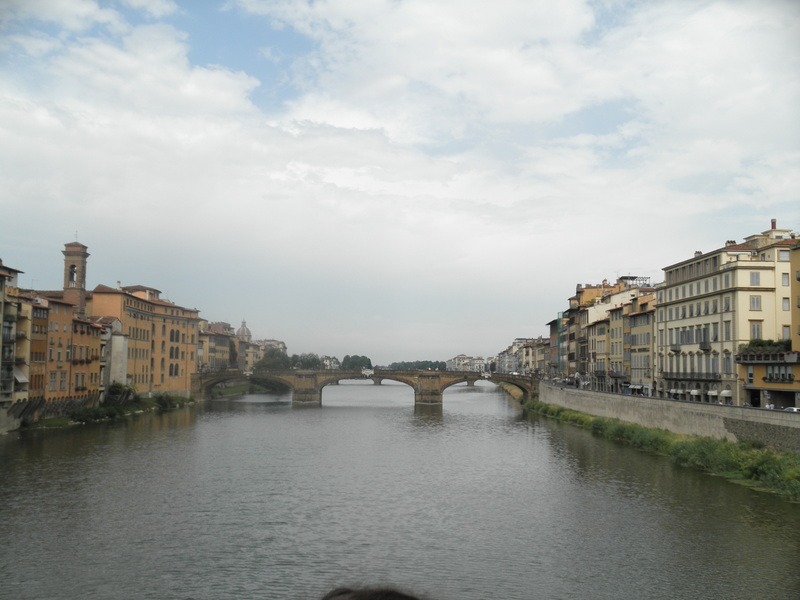 On the bridge the Medici family built a walkway to their house, so they didn’t have to live with the normal people. There were many jewelry shops located here, and our tour guide explained that the family did not want to smell butchers, so they limited it to jewelry. After our tour was over we had a few hours of free time. 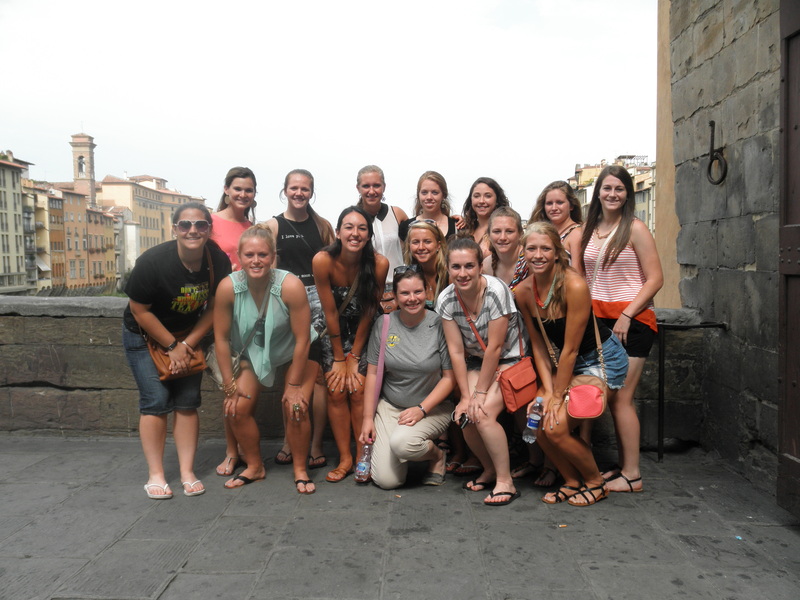 Florence has one of the largest black leather markets in the world, so my group of girls went to shop. Giancarlo told us the only rule is to negotiate; we tried to negotiate every time, but found a lot of the owners were rude. Although some owners would not bargain, we all were able to find a deal for the leather purses we wanted. I was with Ashley when she tried to bargain for a purse; the owner wanted her to purchase it so badly he put a lighter up to the purse to show that it would not burn! To me this market resembled Canal Street in NYC or Rice’s market in PA, except that this was all real leather, and of course made in Italy!! While we were at the market, it started to storm and none of us wanted to buy an umbrella, so we all toughed it in the rain. When we all had purchased our leather, we met with the group to take the shuttle to our first training session. By this time the weather had cleared up and it was so hot (of course). 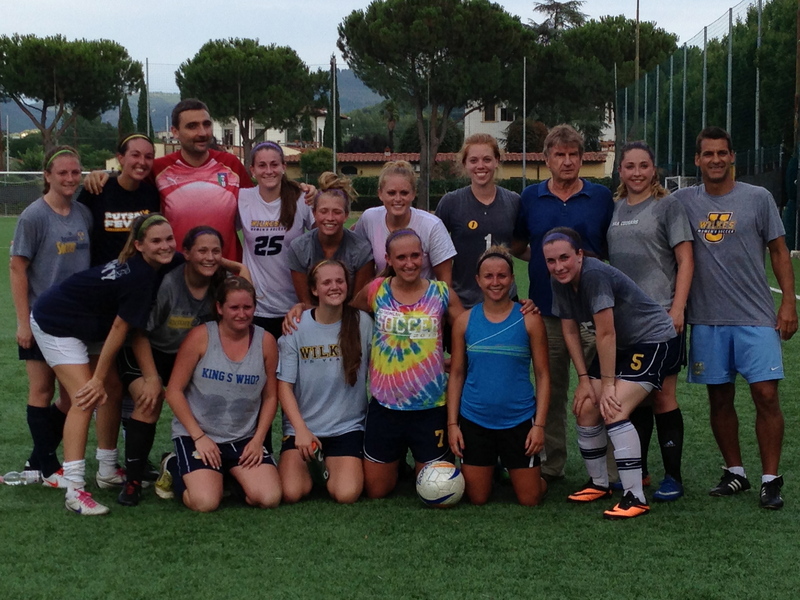 We got to train with a coach for the Italian National team. It was an intense practice to begin with, but the heat made it even harder. By the end we were all drenched in sweat. It was a neat experience to train and learn from someone with a different style of play. The team after the training session. After training we rode back to the hotel to shower and eat our dinner. Tonight we had ravioli with butter and sage, veal, grilled vegetables, salad, and fruit salad as dessert. Most of us are still tired from little sleep and the long day. Tomorrow our day begins at 9 am, where we will go on a boat cruise through 5 villages. Juancarlo said it will be beautiful, so we are all excited to see some more breathtaking views! « Rainy Day in Florence! Kirsten and Katie ….you both are doing an awesome job on the blog. Each day I look forward to hearing about your day and love the pictures!!! Good Luck with your game tomorrow!!! Switzerland & Last Day in Como!